According to documents filed with Washoe County, Apple's forthcoming expansion, dubbed "Project Huckleberry," will be similar to its existing Reno campus, with initial construction plans calling for a central building, "several" data center clusters and a support structure, reports the Reno Gazette-Journal. "It's a whole different set of buildings but it looks like it is going to be essentially the same design as Project Mills, only turned perpendicularly to the east," said Trevor Lloyd, senior planner for Washoe County Planning and Development's Community Services. Project Mills is Apple's original data center site serving iTunes, App Store and iCloud services. 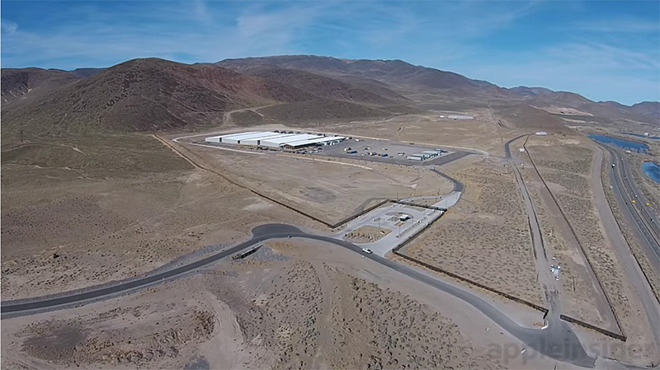 There is constant work being done at Apple's Reno Technology Park site, a 345-acre plot of land 15 minutes east of downtown Reno. Before the most recent Project Huckleberry filing, plans for Apple's data center allotted for 412,000 square feet of space divided between up to 14 buildings, Lloyd said. The company recently submitted a permit for a substation, suggesting further growth is in the works. As reported by AppleInsider, Apple doubled the size of its Reno data center with a second server structure last March. As for Project Huckleberry, Lloyd expects Apple's permit to be granted by the end of January.